Shopify Ecommerce and Online Store Builder combines robust management tools, industry-leading hosting, powerful apps, and a thriving developer community into a fully-featured and flexible platform. Shopify is both the site where your customers will shop, and the site you will go to manage their store. The public site will provide all of the pages and features that they expect in a modern ecommerce site. The admin site gives them a protected area to manage their site, manage customer orders and payment, control product inventory, and so much more. Shopify is the control center for their commerce experience. It's the website your customers will shop from. It's the point-of-sale system they can use in their retail stores. It's their inventory management system. It's all things to all men and it's frankly awesome. If you're looking to launch a comprehensive online store there really is nothing like it. True you could get a developer to build you a humdinger of a site but you're paying for that to be maintained and that ain't cheap. Signup today, have a play with it, there is absolutely no risk. If you decide you love it choose your plan and get started. Not for you? Well as you're not giving credit card details to start the trial you can't be billed. 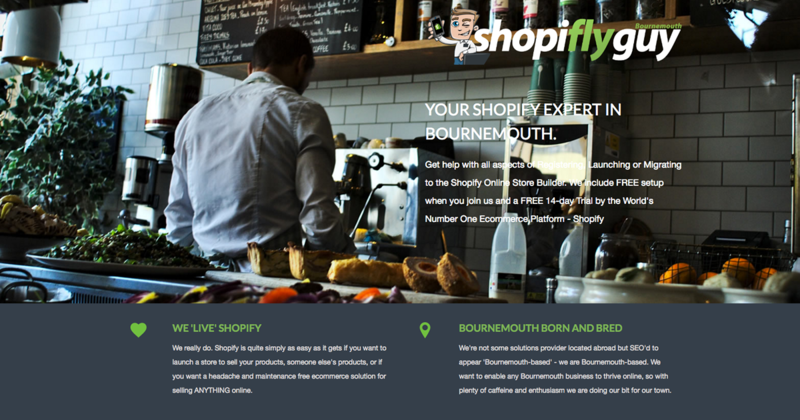 Give Shopify a go now.